Our primary care physicians, both internists and family medicine practitioners, focus on the prevention, diagnosis and treatment of our patients’ conditions. This includes both acute and chronic illnesses, both simple and complex. 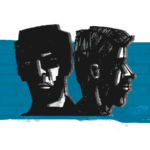 We offer this through our clinic, as well as in our geriatric and separate men’s and women’s health services. As a result of our Level 3 patient-centered medical home, which provides coordinated, proactive care, more patients are avoiding problems that in the past resulted in hospitalization or emergency room visits. The mother had been telling her pediatrician for several years that her son, now eight, would often “zone out.” He had a predilection for doing this countless times a day, often for no more than a few seconds each time…. ﻿ SBH pediatric infection disease specialist Dr. Tsoline Kojaoghlanian explains hand foot and mouth disease on News 12 the Bronx. 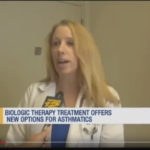 ﻿ Dr. Alyson Smith is interviewed by News 12 the Bronx on a new type of asthma therapy that has made a huge difference in the life of a 9-year-old Bronx girl.